Kiko Milano Everlasting Kajal is a long-lasting, jet black kajal for the waterline. The soft and creamy formula ensures easy, precise application and remains perfect for up to seven hours.The texture glides on effortlessly, leaving an intense, bold colour. An even, smudge-free line plays up the eye makeup. The eyes take center stage.Available in black. The colour is intense and even-looking. The long-lasting, bold line brings out the eyes' shape and colour. A defined, seductive look. Explore the entire range of Kajal available on Nykaa. 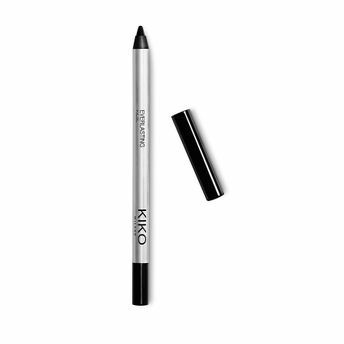 Shop more Kiko Milano products here.You can browse through the complete world of Kiko Milano Kajal .